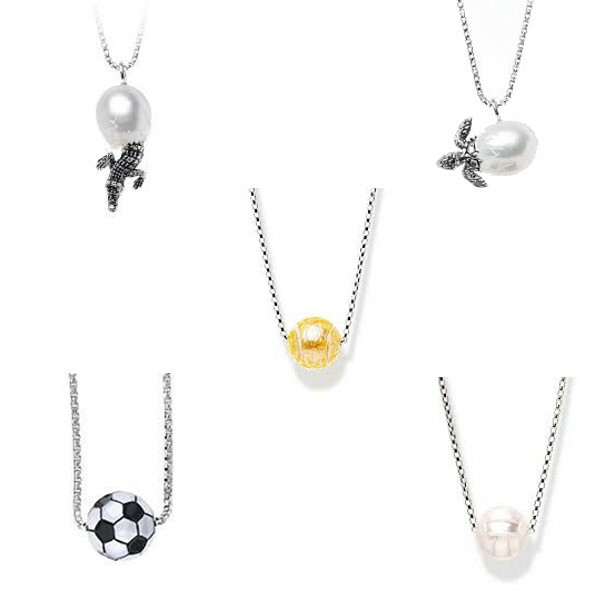 Express yourself with these adorable customized carved pearl pendants. Whether you’re an athlete, animal-lover or beach bum, you can show your love with a sweet symbol of pride or layer them for a fun collection! Visit our new showroom to shop the largest selection of fine gifts and accessories in South Mississippi at Pav & Broome today. Price: Visit Pav & Broome Fine Jewelry for availability and pricing information. View additional Designers & Collections. Our website consists of a sampling of in-stock and available merchandise. We recommend you visit our showroom in downtown Gulfport to shop the full selection of bridal and fashion jewelry, watches, accessories and gifts. Due to the large number of merchandise available from hundreds of designers, including our own designers in-house, we cannot provide a full list of items available on our site. Inventory is subject to change and may not currently be in stock, most can be ordered and available within a few days. In these cases, we do appreciate your understanding and patience. Get latest news & offers. Join our email list. If you are not 100% satisfied with your experience, please click to contact us. If you had a great experience, please take a few minutes to tell others, and give us a review. Copyright © 2017 Pav & Broome Fine Jewely. All Rights Reserved.